The Festival of Sandpoint returns Aug. 2-12. Now's your chance to live your lifelong dream of stumbling through "Chopsticks" in public, because there's a weatherproofed piano at the base of the clock tower in Riverfront Park. In a true community effort, the piano was donated by Music City, tuned up by the Piano Technicians Guild and painted by art students from Spokane Falls Community College, and it's going to be there all summer, waiting for you to unleash your inner Frédéric Chopin (or Freddie Mercury?) on a bunch of unsuspecting park-goers. Want to be absolutely flabbergasted by natural scenery and also rock out? We swear, photos don't do justice to the Gorge Amphitheatre along the Columbia River — you have to go see it for yourself. It's truly one of the most awe-inspiring places to catch a concert in the country, especially if the show starts around sundown. Unlike going to most outdoor venues of this size, this won't involve standing in a field for hours, and there's no such thing as a bad seat on the grassy hillside. The Gorge is rolling out an intriguing lineup this summer, including our Southern-rock overlords, Kings of Leon (June 22), and an all-country lineup featuring Brad Paisley and Blake Shelton at Watershed Music Festival (Aug. 3-5). If you're a dancer with endless endurance, consider getting three-day passes to camp out and witness one of these long-winded jam bands with near-psychotically dedicated fan bases: Phish (July 20-22), and Dave Matthews Band (Aug. 31-Sept. 2). Visit gorgeamphitheatre.org. If you're in it for the long haul, look into the Festival at Sandpoint (Aug. 2-12), an eight-day music extravaganza in Sandpoint that's more like a series of individual concerts than a multi-stage festival. 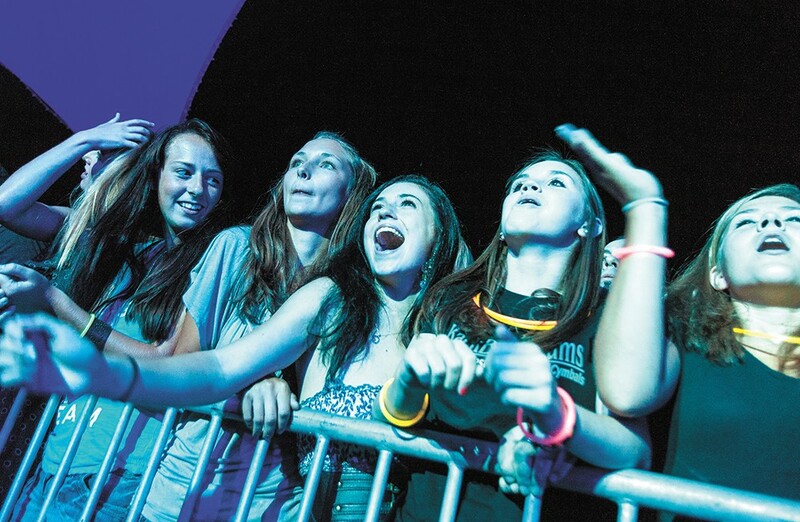 This year, the lineup features Sublime with Rome (Aug. 10), ZZ Top (Aug. 4) and Amos Lee (Aug. 3), among others. Aside from the natural beauty of Lake Pend Oreille, what really sets this fest apart is that you can bring in your own food and drinks. But some of the best food vendors in the area are on hand, too. And if your ears are all worn out from the barrage of good music, the resort town offers limitless opportunities for recreation and quieter moments in nature. Visit festivalatsandpoint.com. If you appreciate a big spectacle, rock and country shows are the ticket. The biggest deal coming Spokane's way this summer is Chris Stapleton (July 19), a practitioner of traditional country music — not that pop-crossover stuff you hear on most country stations. He'll bring his "All-American Road Show" tour to the Arena with plenty of buzz behind him after winning big during this year's Grammy Awards, taking home Best Country Album (for From A Room: Vol. 1), Best Country Song ("Broken Halos") and Best Country Solo Performance ("Either Way"). But wait: There's more! Let's not forget the one-two combo of hard-rock heavyweights, Five Finger Death Punch and Breaking Benjamin (July 18) and Halestorm (Aug. 16) headlining a tour featuring two other bands fronted by badass ladies, In This Moment and New Years Day. Keep up on this summer's Arena shows at spokanearena.com. 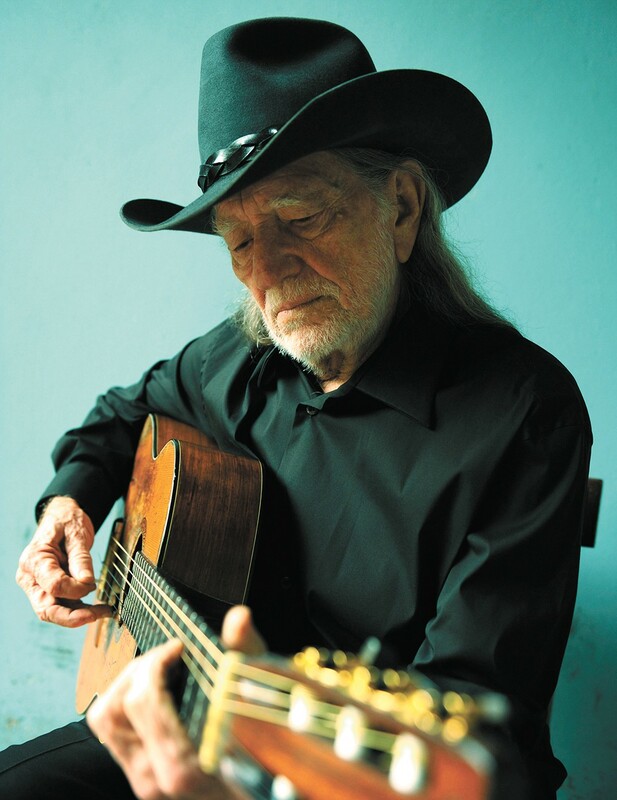 Northern Quest Resort & Casino is hosting Willie Nelson and Alison Krauss on Aug. 3. Northern Quest Resort & Casino has been busy expanding its footprint in Airway Heights, with soon-to-be-completed updates including a new retail space, a dinner-and-movie theater, an arcade and an RV park. On top of that, their upcoming music schedule boasts an embarrassment of big-time acts. Northern Quest's outdoor summer concert series kicks off next week with country hitmakers Little Big Town (June 18), followed by the I Love the '90s tour (June 28), which features the likes of Salt-N-Pepa and Sir Mix-a-Lot. The rest of the roster features plenty for rock lovers: Incubus (July 10), John Fogerty (July 17), Train (Aug. 10), the Australian Pink Floyd Show (Sept. 13) and the co-headlining show featuring Joan Jett and Cheap Trick (Sept. 18). And for country fans: Brad Paisley (July 27), Willie Nelson and Alison Krauss (Aug. 3), Alabama (Aug. 15), Kane Brown (Sept. 9) and Rascal Flatts (Sept. 22). And while you're there, why not bet it all on red? Visit northernquest.com/entertainment. The blurry character of Shakey Graves is perpetually confused about the time period, sometimes appearing in suspenders and a bowler hat, sometimes wearing a leather rock 'n' roll jacket. The Austin, Texas-based singer-songwriter is probably best known for boot-stomping duet with Esme Patterson, "Dearly Departed," but he's long toured as a solo act, for which he sings, plays guitar and beats a kick drum with his heel. Adding to the image of a vagabond musician, he's usually bleary-eyed and sweating, appearing very much hungover and wrung-out, but there's no denying he plays his gritty, distorted blues and folk with authentic emotion — and that it's captivating. Nowadays, Shakey plays with a full band for about half of each set, and he'll be at the Knitting Factory on back-to-back nights (Aug. 27-28) to support his haunting new album, Can't Wake Up. Visit sp.knittingfactory.com. Pick your poison: There are a number of bluegrass festivals in the area each summer, such as Blue Waters Bluegrass Festival in Medical Lake (Aug. 10-12) and the Bannock County Bluegrass Festival in southeastern Idaho (Aug. 17-19). Both feature a mix of top-tier talent and regional and local acts, all well worth the drive. Find out more at bluewatersbluegrass.org and bannockcountybluegrassfestival.com. The Social Animals don't have much name recognition yet, but that might change based on frontman Dedric Clark's soulful vibrato vocal style and the group's wide-ranging sound. Based between Minneapolis and Austin, the four-piece sounds at times like a blues-based roots-rock band and, at others, more like an electro-pop outfit. In any case, they sound good, and you can catch them at the Bartlett (June 23), along with a host of up-and-coming bands all summer long. Visit thebartlettspokane.com. 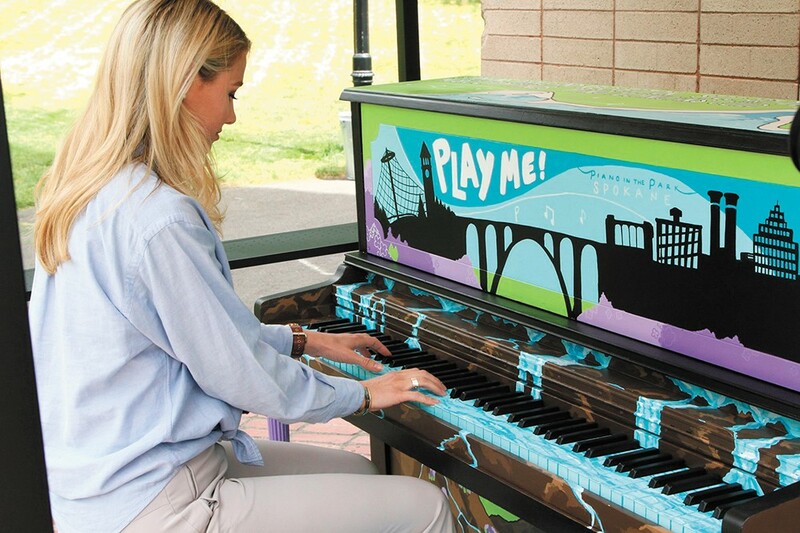 Find a piano at the Clock Tower in Riverfront Park, and play us a tune. The original print version of this article was headlined "Music | Summer Guide 2018"